The Rebel Sweetheart. 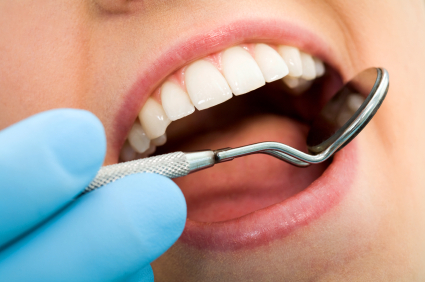 : Cosmetic Dentistry Made Affordable. Earlier today, I received a call from my dentist reminding me of next week's appointment. It's for my routine check-up and annual oral prophylaxis, and for my long overdue gingivectomy. I was supposed to have it done by mid-February, but look it's April Fools already. And I haven't had it yet! If not for the visa requirement, I could have just hopped on a plane and have my cosmetic dentistry Costa Rica done. That country is now gaining popularity because of the low-cost treatments available in the country. They're way, way cheaper compared to the services in US and Canada; so cheap that even all on 4 implants Costa Rica wouldn't create a gaping hole in my monthly budget. Honestly, I was hoping the dentist would forget to call. Not that I'm afraid of the dentist, though. After five years of wearing braces and several other dental devices, plus two previous surgical procedures (including a previous gingivectomy), I've pretty much gotten over my fear of dentists and my seemingly silly dental anxiety. What I'm more concerned about are the expenses this whole gingivectomy thing will incur. Dental procedures don't come cheap, you know. Just thinking about how much I've spent on my teeth for the past five years makes me cringe. I could have actually bought a second-hand car with that amount!